It is a very sad day at LIONSROCK as we have had to say farewell to Caesar the 20 year old male lion just 3 short weeks after his companion Carmen passed away. 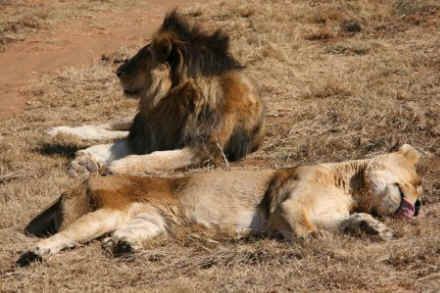 Both lions where living out their twilight years peacefully at LIONSROCK after dramatic rescues by FOUR PAWS. However, due to their age and backgrounds, their health conditions deteriorated to a point where they would have an unacceptable quality of life and so, sadly we realized that their time had come to leave us.